I work from photos and ship anywhere in the USA. Pricing information is below. Also, Gift Certificates are available! Interested in a Pet Portrait? I'd love to paint one for you! I work from photographs. Shoot me a message at Amy@InkOriginalArt.com, or fill out this form. Turnaround time is about two weeks. Secure your spot by putting down your deposit here. All portraits are acrylic on canvas and come mounted to a wooden block and ready to hang, unless client prefers loose canvas. PAWINGS are available on watercolor paper unframed. I'd like to discuss a custom size. 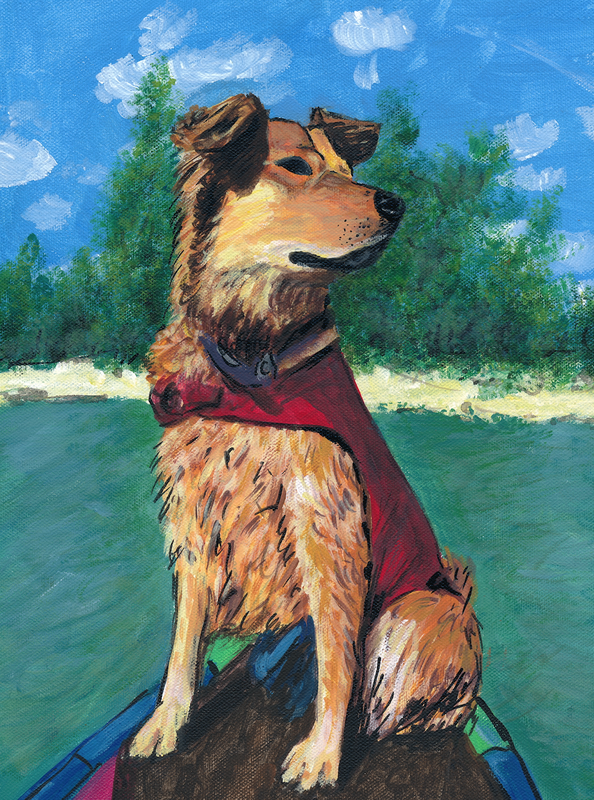 Please provide an address if you would like your pet portrait mailed to your home or business. Would you like to join my list? I'll send you a monthly email about new art I'm working on. I'll be in touch! 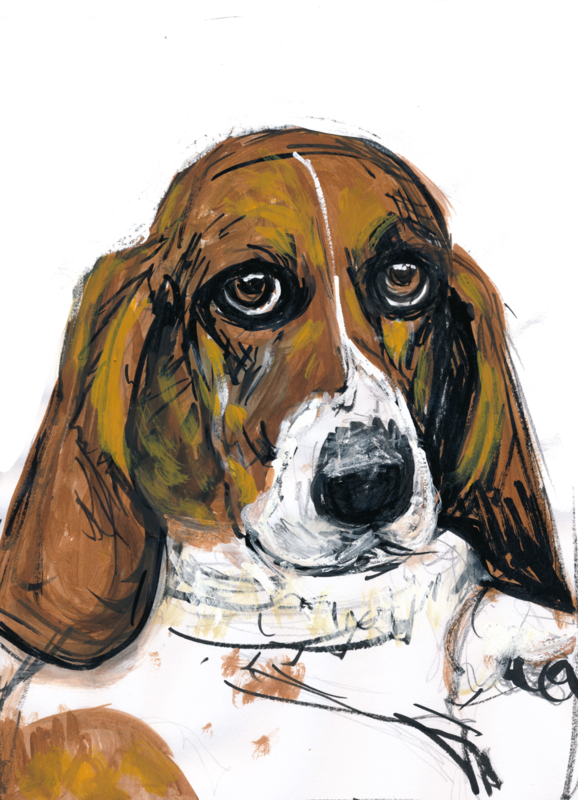 Feel free to go ahead and email 3 to 5 of your favorite photos of your pet to Amy@InkOriginalArt.com. 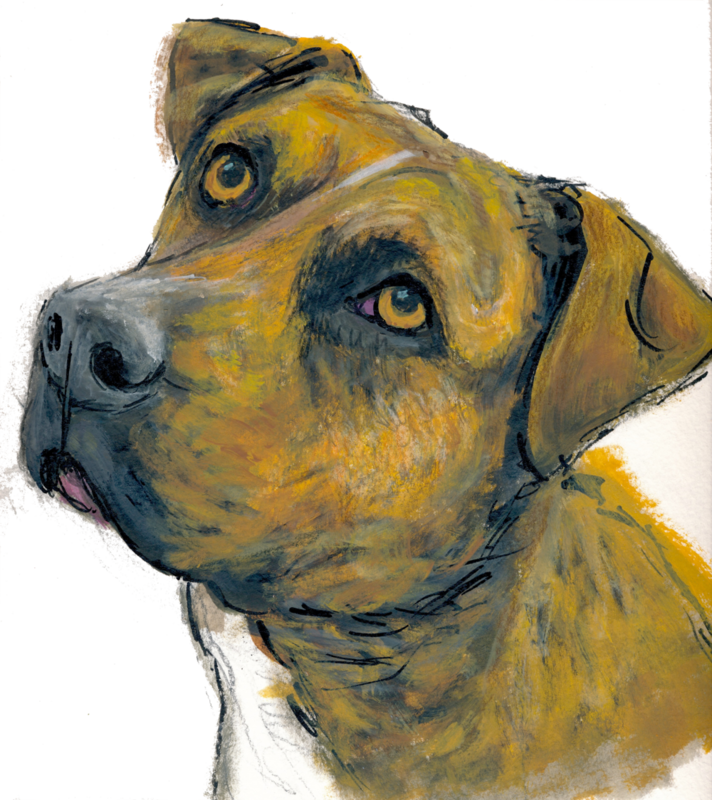 Check out my blog post on Pet Portrait Painting and PAWING for an explanation of this style.